It's a great start to the week for the US dollar as gains accelerate across the board. USD/JPY hit some small stops as it broke above 110.16 and continued to 110.39. 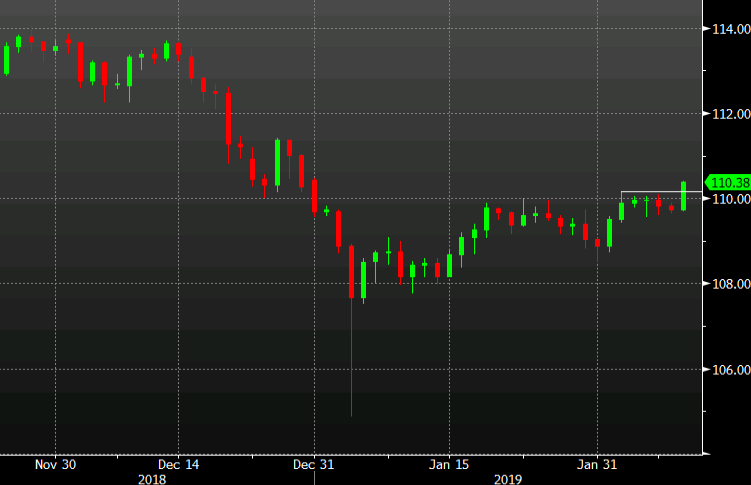 USD/JPY had struggled at those levels all last week but there is fresh optimism about a US-China trade deal this week. It might continue to be a grind but there isn't much standing in the way of USD/JPY. One warning though, today was a holiday in Japan so some of this could unwind in the day ahead.